A team of Japanese adventurers say they have discovered footprints [in Kathmandu] they believe were made by the legendary yeti said to roam the Himalayan regions of Nepal and Tibet. “The footprints were about 20 centimetres eight inches long and looked like a human’s,” Yoshiteru Takahashi, the leader of the Yeti Project Japan, told AFP in Kathmandu on Monday. Takahashi was speaking after he returned with his seven-member team from their third attempt to track down the half-man-half-ape, tales of which have gripped the imaginations of Western adventurers and mountaineers for decades. A former Top Gun told yesterday how he was ordered to shoot down a massive UFO — over Norwich. The amazing close encounter is revealed in secret Ministry of Defence X-Files which are declassified today. 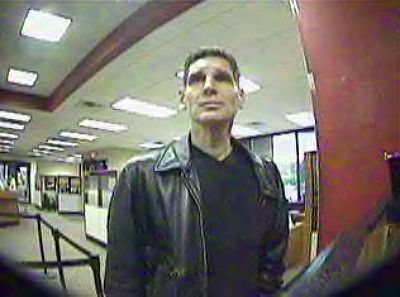 This man, who is being sought in a Wisconsin bank robbery, demonstrates how not to go about disguising yourself before committing a robbery. 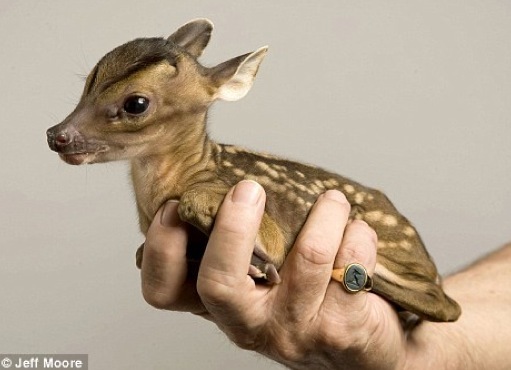 This tiny, one pound Muntjac deer was delivered by C-section three weeks early after his mother was hit by a car. Vets were unable to save her but Rupert here is doing fine.